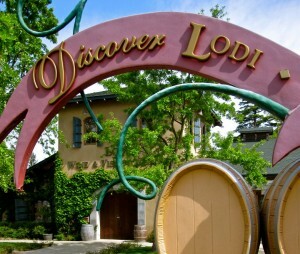 The 2010 United States Census reported that Lodi had a population of 62,134. Lodi has cool, wet winters, often characterized by dense ground fog, and very warm, dry summers. Due to the city’s proximity to the Sacramento-San Joaquin Delta, summer temperatures usually dip into the fifties at night. Fog and low overcast sometimes drifts in from San Francisco Bay during the summer and it can be breezy at times especially during the night. Early industries in Lodi included a saw mill, flour mill, vineyards, orchards, and cattle ranching. Lodi is the birthplace of A&W Root Beer and A&W Restaurants established in 1919, which is considered the original fast food restaurant. According to the City’s 2010 Comprehensive Annual Financial Report, the top employers in the city of Lodi are; Lodi Unified School District, Lodi Memorial Hospital, Pacific Coast Producers, Blue Shield of California, Cottage Bakery, General Mills, City of Lodi, Farmers & Merchants Bank, Walmart and Target. 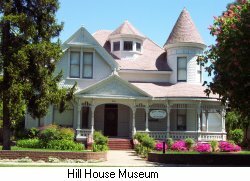 Among the local attractions Lodi has; The Hill House Museum, a restored Queen Anne Victorian built around 1906, The San Joaquin County Historical Society and Museum, the largest museum complex in the county, is just south of Lodi, at the Micke Grove Regional Park, and World of Wonders, a downtown science museum modeled after the San Francisco Exploratorium, features interactive science exhibits, classrooms, and a retail store. Local events include: the Grape Festival held which includes rides, food, and wine tasting, the Spring Wine Show which showcases the area’s 50-plus award-winning wineries, the Taste of Lodi, one of the area’s most prestigious food and wine events and Zinfest which features Lodi’s finest Zinfandel wines. When it comes to local theatre, Changing Faces Theater Company is a non-profit, student-run organization, which is supported by the Lodi Arts Commission, and the Lodi Musical Theatre Company is also prominent, staging shows at Hutchins Street Square such as “West Side Story” and “Joseph and the Amazing Technicolor Dreamcoat”. The Lodi office became part of Century 21 M&M in 2000 and is the leading Lodi brokerage firm in volume and number of transactions. Our staff of 50+ includes many award winning, seasoned veteran agents as well as eager newbies who have completed extensive Century 21 M&M training. Whether you are Buying or Selling, Residential or Commercial, call a Century 21 M&M Realtor today at 1-800-350-1548.